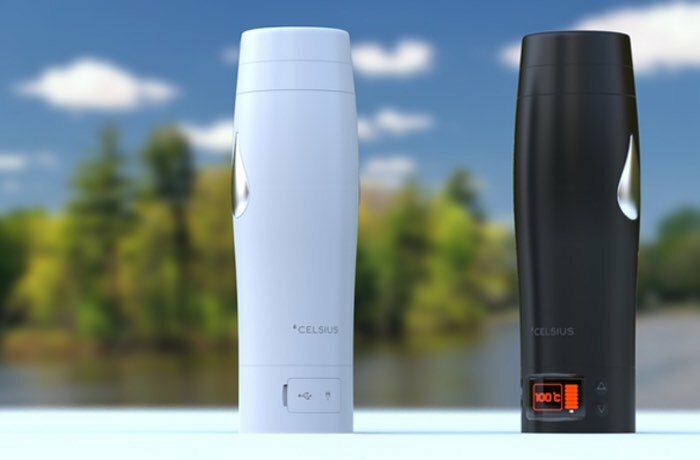 CELSIUS has unveiled a new multipurpose food and beverage heating container which has been designed to offer a portable device that is capable of boiling water to brew coffee, tea or even heat food. 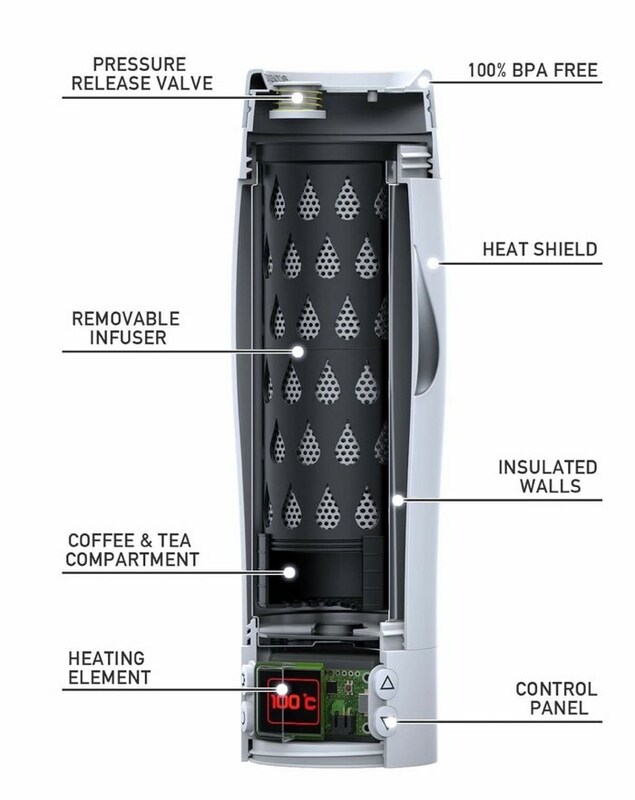 The next generation heating flask can heat soup, steamed fresh produce or prepare a wide variety of different foods whilst on the move. Watch the video below to learn more about how this small compact portable system can help you sheet food and liquids with ease. CELSIUS has been launched via Kickstarter this week with pledges starting from just $39 for the CELSIUS tumbler. CELSIUS is a high quality device designed to both maintain and raise the temperature of its contents. This portable and rechargeable appliance is a combination of a kettle, a pressure cooker, and an infuser. °CELSIUS is sleek enough for the office and tough enough for the trail. A portable device with the ability to boil water, brew coffee or tea, heat soup, steam fresh produce, and prepare a variety of foods. The user-friendly control panel has an adjustable thermostat which alternates between Celsius and Fahrenheit in order to allow its user to set the desired temperature. It heats beverages and a variety of foods including soup, noodles, rice, vegetables, baby formula and more. The insulated design helps to maintain hot or cold temperatures. With an interior capacity of 20 fluid ounces °CELSIUS features a unique locking twist top which not only enables its user to control the flow of its contents, but also keeps them safely contained during travel. CELSIUS includes a multifunctional attachment for preparing individual servings of food and can also serve as an infuser. This accessory has a special compartment designed for brewing both coffee and tea. It also eliminates the necessity for paper or plastic items such as coffee pods and filters. For more information on the new CELSIUS jump over to the Kickstarter website for details and full specifications via the link below.